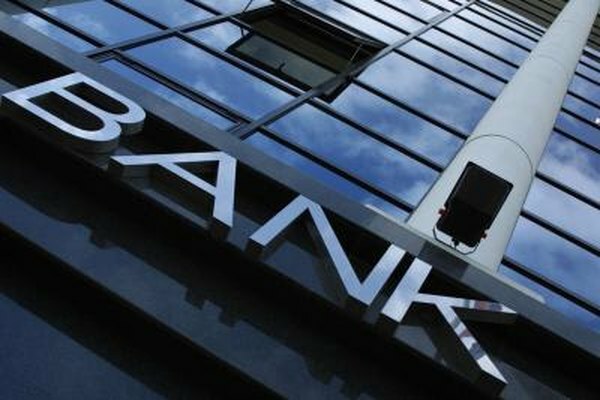 A bank may act as an intermediary between two parties in a contract. Bank guarantees and bank bonds are both financial instruments that help protect the parties who engage in a contracted exchange for goods or services. A bank guarantee, sometimes called a letter of credit, is a way to transfer payment, while bank bonds or surety bonds provide a type of insurance against one party breaking the contract. A bank guarantee or letter of credit is a way for the parties to a contract to ensure that the transfer of money from the buyer to the seller goes through. Instead of sending payment directly to the seller, the buyer purchases a letter of credit from a bank and sends that to the seller. When the contract is complete, the seller presents the letter of credit to the bank and receives payment. A letter of credit lets the buyer and seller act through a bank that both consider trustworthy rather than relying on each other to keep the contract. While a letter of credit ensures that payment goes smoothly, a surety bond or bank bond is an instrument designed to protect a party to a contract from the risk of a broken contract. For example, if a jewelry store owner wants a carpet company to install new carpeting but is worried that the carpet company might not follow through, it might buy a surety bond from a local bank. If the carpet company fails to deliver, the bank will pay the jewelry store a predefined amount of money as compensation. Likewise, the carpet company might buy a surety bond if it fears the jewelry store will refuse to pay after the carpet has been installed. While surety bonds and bank guarantees both make entering contracts safer for the parties involved, their roles are different. A bank guarantee is similar to an escrow account in that the buyer and seller agree to act and exchange funds using the bank. A business that wants to obtain a letter of credit must have collateral to satisfy the bank. Surety bonds do not need collateral because they only require a bank to pay out if a different company proves to be untrustworthy. From the perspective of the bank, these two instruments are accounted for differently. A letter of credit is a liability for the bank because it is an obligation to pay out money. On the other hand, a bank bond is essentially an insurance product, so it counts as an asset: If everything goes smoothly, the bank keeps its fee and does not need to pay the bondholder. International Credit Insurance and Surety Association: What Is the Difference Between a Surety Bond and a Bank Guarantee? What Is a Bank Guarantee (BG)?